573 p., 73 ill., 17,0 x 24,0 cm. 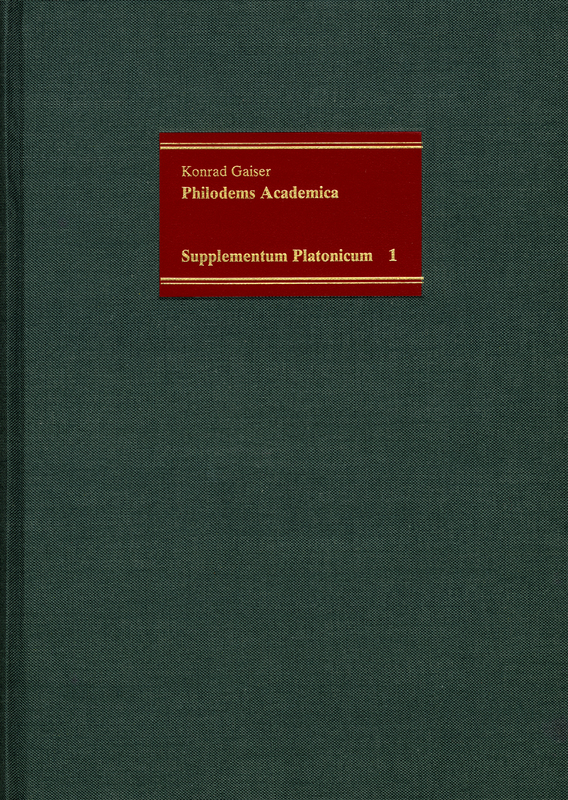 ›Supplementum Platonicum 1‹ contains a completely revised text edition (compared to the edition published by S. Mekler, Berlin 1902) of the main section of Philodemus’s book on the philosophers of Plato’s Academy: (Plato, Speusipp Speusippos, Xenokrates Xenocrates, Herakleides, ChaironChiron, Polemon, Krantor Crantor, Adeimantos, Krates Crates, Arkesilaus). For the first time, our most important source of material on Plato’s school has become accessible in a translation and a detailed commentary. The critical analysis of the sources shows that in Philodemus’s work extensive reports by Antigonus of Carystustos and also by Dicaearchus, Philochorus, Neanthes, Diocles, Timaeus, Diodorus, Demochares, Hermippus and Arcesilauss have been preserved. Thus the volume provides classical studies and the history of philosophy with new insights into the history of Plato’s Academy and his school of thought, into the biographical literature of Hellenism and Philodem’s way of working.